4 out of 5 Stars - "St. Gemma's is not just a business, it's a family. They lead their pilgrims on a journey of faith closer to Christ and His Church while sharing their own journey of faith! I highly recommend them to anyone looking to not just take a trip but a pilgrimage of faith!" 5 out of 5 Stars - "I am so incredibly blessed to have gone on a pilgrimage coordinated by St. Gemma's Catholic Pilgrimages. I would recommend them 100% to anyone who is looking to experience the holy places of the world not through the eyes of a tourist, but through the eyes of prayer. Absolutely incredible!" 5 out of 5 Stars - "I would recommend the pilgrimage to everyone. The guides explained the highlights of every basilica and even showed us when we were inside. They were very reverent and were the center of our group everyday. Fantastic!" "We had an EXCELLENT time and we hope to plan another one in a couple years with you again!!!" 5 out of 5 Stars - "The pilgrimage to the Canonization of Saints John XXII and John Paul II was the best group tour I have ever taken. Mike, Sue and David were fabulous and very knowledgeable on how to maneuver in Rome. The tour was well planned and we never felt rushed. I would definitely go on another pilgrimage with St. Gemma Catholic Pilgrimages." 5 out of 5 Stars - "I would strongly recommend future pilgrims to Rome to consider St. Gemma's Catholic Pilgrimages because central to their mission is for all to have a profound life changing experience. Once the pilgrimage ends, the sense of mission is deeper and the joy profound." 5 out of 5 Stars - "Looking for a genuine pilgrimage to Rome, the Eternal City? Look no further. St. Gemma's Pilgrimages offers a complete guided Catholic Pilgrimage including great places to stay, great places to worship, wonderful fellowship with fantastic folks who desire the best in Pilgrimages to Rome and the Vatican. 4 out of 5 Stars - "This is my third trip to Rome, and I think I did enjoy this one the best... it was a true pilgrimage with the right balance of free time.... want to go on another one!" 5 out of 5 Stars - "Mike and Sue - I bless and thank God for your pilgrimage tour. You are both attentive, easy and solid Catholics . It was a great experience joining you for the double canonization and giving us options how we would participate. It was an experience of a lifetime! I would highly recommend your tours." "My wife and I had the experience of a lifetime on pilgrimage in Rome with St. Gemma Catholic Pilgrimages. Mike and Sue are great at making pilgrims feel comfortable and making the experience one filled with faith, excitement, and joy." ​This was an absolutely wonderful experience! I would definitely do this again. Mike and Sue were so attentive to everyone's needs. I was a pleasure spending nine days with them. They make you feel like family! I highly recommend St. Gemma's Catholic Pilgrimage. I can sum it up in one word for anyone considering a pilgrimage with St. Gemma's Catholic Pilgrimages - GO!! Seriously, just go! Mike and Sue reflect the love of Christ in amazing ways, and I would never want to visit Rome with anyone else. Their concern for the welfare and comfort of their pilgrims is evident in everything they do, and also in their choice of guides (David rocks!). I can promise you that Rome will get into your blood, and once just won't be enough!!! Mike and Sue you are so relaxed and joyful. Very accommodating of special requests for those of us that went earlier than the group. You made it easy, all the way. Not having to worry about how to get around Rome. It was all organized for us. Accommodation with the Palottine Sisters was great, so close, worth climbing the hill for. I have been to Rome several times before but not with a group. How blessed to have been with these prayerful and truly Catholic folks. I recommend this pilgrimage for anyone looking for a unique adventure in Rome and the day trips. Taking the bus and the subway, walking among the locals and tourists alike is a great way to experience la Roma. We had a great experience which deepened and renewed our faith. The beauty and history of the Church in Italy, and the goodness of our fellow pilgrims helped us to see more deeply the underlying truth of the Catholic Church. St. Gemma's Pilgrimage was truly a pilgrimage and not a sight-seeing vacation. We were busy from before sunrise to well after sunset, and it was great. We were not pampered with three and four star hotels and charted bus service. We mingled with the local population, using Italian transportation and our feet. We ate the local fare and stayed in nice, but humble housing with the nuns. I believed we became more connected with the pilgrimage, rather than just an observer. I highly recommend St. Gemma's Catholic Pilgrimages, because it is a good, safe and great way of learning historical site and to became close to Jesus. I can't express my gratitude to Mike and Sue for their kindness, they take good care of the group. They walk the extra mill to help us, and that is all about good and servant to the Lord! I approached the Pilgrimage w/ some skepticism as I am not outwardly a "Church" person. The easy going mannerisms of our guides quickly put me at ease. Each church we visited had meaning. Kneeling & going up the Holy Steps was a turning point. It deepened my faith & put me at peace. I have come home a different person. With St. Gemma's Catholic Pilgrimages I always felt like I was in good hands and free to experience the spirituality of all the sacred places we visited, unencumbered. I highly recommend the St. Gemma's Catholic Pilgrimages. Mike and Sue Denz are well organized and offer a no frills approach to seeing Rome. They and our chaplain maintained a good spiritual focus for our pilgrimage. They along with local associates provided excellent commentary for the many sites we visited. This was a fantastic pilgrimage! In a few short, very special days, I learned more about the history of the Church and its founders than I had in the decades that preceded it. As well as the Major Basilicas and attractions, Mike and Sue showed us so many other treasures of Our Faith, available only to those who know where to look, and can gain access to places often not open to the general public. This pilgrimage brought a new richness to my Faith. Mike and Sue do a wonderful job of creating an itinerary that is not only historical but very moving spiritually. Be prepared to not only be awed by the sights but also moved by these sights as you see where the Apostles and Martyrs began our Holy Catholic Church. I highly recommend St. Gemma's Catholic Pilgrimages for greater Spiritual uplift. St. Gemma's Catholic Pilgrimage exceeded our expectations as did our guides, Michael and Susan Denz. Their knowledge and the reference material provided each of us helped to make this Pilgrimage truly memorable. St. Gemma's is an excellent way to travel Europe safely and spiritually. You won't only enjoy some of the most beautiful churches in Rome but you will grow spiritually in ways unique to each individual. 4 out of 5 Stars - "The catholic atmosphere was wonderful. It was what we wanted when we signed up. Thank you for a wonderful trip." 5 out of 5 Stars - "I had an amazing time, I was unable to properly spiritually prepare for the trip to the degree I wished, but it was a touching experience non the less. Faith connected these pilgrims and every aspect of the trip was great, morning breakfast, Mass, then on to the daily adventure. The stories shared, links made, and family bond of the Universal Church allowed new springs of faith to appear in everyone because of what we saw on this trip. I deeply recommend this trip to friends and family." 5 out of 5 Stars - "This pilgrimage was some of the best 12 days of my life. It gave me a perspective of our faith that could never be found any other way. From serving at St. Peters, to walking on a 2000 year old Roman ally to view the bones of St. Peter on the Scavi tour, to pray at the tomb of St. Lawrence, St. Ignatius, and so many other saints and Popes. I will always remember what it was like to wake up on a lovely morning in Assisi to pray before the tomb of St. Francis – and walk the path to San Damiano to see where St. Francis and St. Clare found peace in the Lord. All this, and so much more, was done in the best of company, the finest food and with the comfortable guidance of Mike, Sue and Allison. It was a trip of a lifetime. You will want to go back." "I met Mike and Sue on a Scavi visit in the Vatican. After spending some time with them, I realized that they are doing a great thing by leading pilgrimage groups to Rome. I found them to be practical, well organized, and oriented to a true pilgrim experience. I think anyone that is able to join one of their pilgrimage groups is in for a profound experience, nurturing of one's faith. For those who have never been to Italy, I would tell them to feel assured and excited to take a pilgrimage with Mike and Sue. They are in for an incredible experience." 5 out of 5 Stars - "We would highly recommend St. Gemma's Pilgrimage to anyone wishing to enrich their Catholic Faith while visiting Rome. The entire experience was beyond our expectations. We happened upon the tour while Googling "Pilgrimages" and are so glad we did. Mike and Sue are wonderful guides and companions for this once-in-a-lifetime journey." 4 out of 5 Stars - "I would recommend anyone who is looking to go on a pilgrimage to sign up with your pilgrimage tours I received everything that was promised and Mike and Sue were great." 5 our of 5 Stars - "Touring with you guys was a terrific balance of the culture, people, sites of Rome mixed with the blessings of the Church and the beauty of our faith and we had a really fun, joyful experience that we will remember forever. There were so many blessed surprises that made the pilgrimage special - Vatican Radio, gelato, North American College Mass, the Holy Steps were powerful beyond words, and ducking into churches and exploring was just fantastic. This was not a tour it was a powerful, spiritual journey that brought us closer to Christ with every step! Thank you." 4 out of 5 Stars - "St. Gemma's Pilgrimages is so well planned that we always felt very relaxed & confident in our guides. We learned enough from them to venture out in small groups at times making the pilgrimage even more personal & enjoyable!" 5 out of 5 Stars - "I would highly recommend St. Gemma's Catholic Pilgrimages, because Sue and Mike focus on the spiritual, are highly knowledgeable about all the sites, and are wonderful people who are sensitive to other's needs and know how to incorporate fun into the journey as well." 4 out of 5 Stars - "For anyone planning a trip to Rome​, Assisi, Florence and other parts of Italy, I would say the people who run the St. Gemma pilgrimage know their job well, are most helpful, accommodating, and knowledgeable in what they do best: doing frequent pilgrimages to that section of Italy many times during the year. They keep the price as low as possible." 5 out of 5 Stars - "St Gemma's Catholic Pilgrimage to Rome was a wonderful experience for my husband and I. Daily Mass was a gift to help us stay focused on the spirit of journeying on a pilgrimage. The places we saw were enhanced by Sue & Mike's knowledge." 5 out of 5 Stars - "I was blessed to have the opportunity from Mike and Sue Denz to be a part of one of their pilgrimages to Italy. They were helpful, energetic and knew tour guides in Italy who could enhance my overall experience." 5 out of 5 Stars - "It was a great trip. To try and see Rome on my own, I would not have seen all that I saw. The Pope was a treat and being there at Mass, what a treat."  "I would highly recommend anyone looking for a pilgrimage to choose Saint Gemma's Catholic Pilgrimages. Words cannot express the incredible experience I had in Rome with Mike and Sue Denz in March of 2013. Getting to know and enjoying the company of an incredible group of fellow pilgrims; visiting the many churches and historical locations in Rome; attending daily Mass at St. Peter's; the ability to try authentic Italian food (especially the gelato); and deepening my faith were just some of the highlights of this once-in-a-lifetime experience. Little did we know that we would be in Rome for the once-in-a-lifetime honor and privilege of the selection of Pope Francis I. Being in St. Peter's Square with hundreds of thousands of Catholics from around the globe is truly an experience I will never forget." 4 out of 5 Stars - "I would highly recommend St. Gemma Catholic Pilgrimages. I value greatly Mike and Sue Denz for their caring, fairness, reliability, and professionalism." "We were thrilled being on this Rome Pilgrimage. It was a spiritual and cultural once in a lifetime experience. Highly recommend other people to experience the splendors and beauty of Rome and Italy." 5 out of 5 Stars - "I would recommend St. Gemma's Catholic Pilgrimages for anyone who wants a spirit filled experience. I especially liked the fact that we were accompanied by a priest. We had the opportunity to celebrate mass each day either at the convent chapel, another church or even at the hotel. In addition, Fr. Bob was available for confessions and guidance. Mike and Sue are shining examples of how we can live out our faith"
5 out of 5 Stars - "This was my first trip to Italy and I truly enjoyed it SO MUCH. Mike, Sue and David did an AMAZING job preparing this pilgrimage. I really appreciated how they spiritually helped us for this pilgrimage the day we gave our YES by reminding us to always pray. They made me feel really comfortable and welcomed in this pilgrimage. AND they always made me laugh :)"
4 out of 5 Stars - "I would highly recommend St. Gemma's Pilgrimages. The potential to grow in appreciation of our Catholic faith, not just because of the tremendous opportunity to see such amazing things, but it also gave us the chance to experience those who gave so much (lives, talents, resources, etc.) to enrich our faith experience and give glory to God." 5 out of 5 Stars - "A unique opportunity to experience our Catholic faith through some of the holiest places in Italy. From the majesty of St. Peter's, the breathtaking Sistine Chapel, the Papal Audience, the Vatican Museum - to the splendor of Florence and the quiet peace of Assisi- I was filled with a spiritual renewal. Mike and Sue Denz and Allison Paolini led us on a journey that will impact us for years to come, we came home enlightened and new friends." 5 out of 5 Stars - ​"This was our first trip to Rome and the fact that we would be joining millions of pilgrims for this historical event, led us to Saint Gemma's Catholic Pilgrimages, and the expertise of Mike and Sue Denz, as our gifted and fun-loving guides. We were also very blessed to have our own "native" tour guide (David) whose knowledge of the history, art and architecture of the sacred shrines and Italian culture in general, added so much to our amazing experience. Finally, we cannot forget to mention the graces that accompanied us, with the daily celebration of the Eucharist and spiritual direction given by our holy chaplain, Fr. Bob. It was truly an amazing and deeply enriching experience that we will never forget, and we give thanks to God!" 4 out of 5 Stars - "Mike and Sue have fine-tuned their pilgrimage to maximize the time spent in the Eternal City. They know their stuff and are happy to share it with the pilgrims. Get your walking shoes on and see Rome like very few tourists ever will!" 5 out of 5 Stars - "This pilgrimage was everything that I hoped it would be and so much more! Beautiful places, fantastic food, new friends, and most importantly experiencing the powerful Catholic connection of so many unbelievable Holy places!" the dome of St. Peter's. the emotions which happen when you stand in a place so important." Relic of the Crib of Jesus under the altar at St. Mary Major Basilica. What do our pilgrims have to say about their experience?